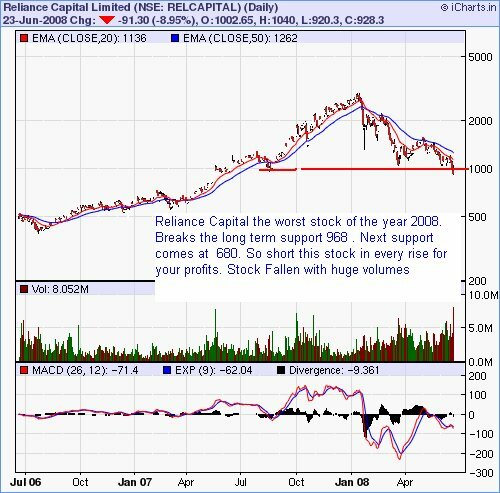 Reliance Capital the worst stock of the year 2008. Breaks the long term support 968 . Next support comes at 680. So short this stock in every rise for your profits. Stock Fallen with huge volumes. Not Good for this stock in short term.